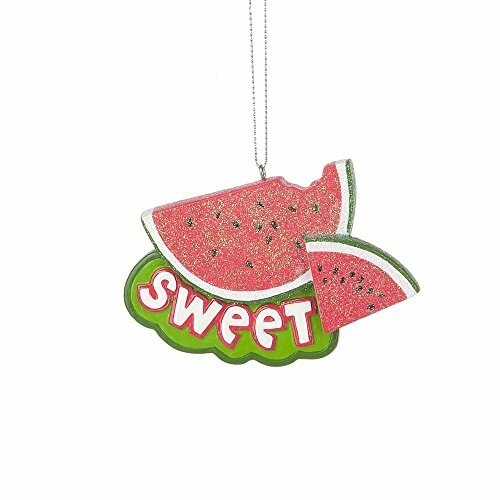 Hand painted resin sweet and colorful slice of watermelon ornament. Ready to hang on your tree. Measures 2 1/2 inches high, 3 1/2 inches wide and 1/4 inches thick.